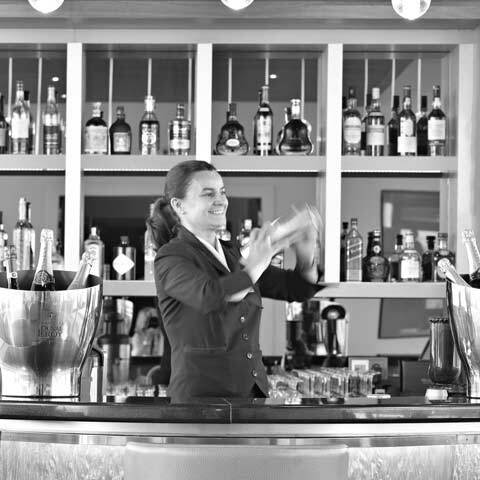 After completing studies in hospitality and catering Sylvie specialised in bar management. She joined Miramar La Cigale in 1993 where she moved up the ladder to reach her current position. Fascinated by mixology – the art of cocktail-making – she honed her skills by taking part in many contests as part of the ‘Association des Barmen de France’, including the famous Calvados Trophy that she won in 2001. 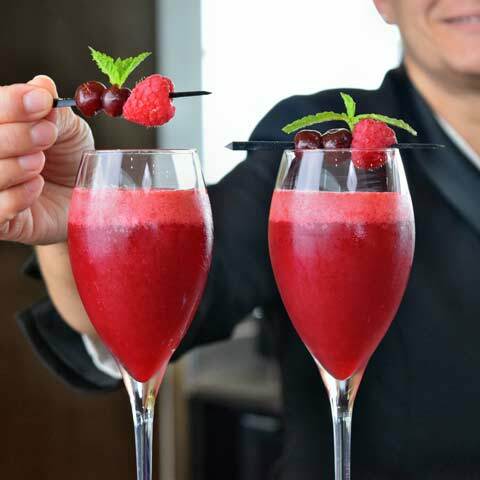 For 20 years she has been pushing the limits of creativity and continues to delight guests at Bar Le Goéland with her fabulous cocktails based on fruits and fresh vegetables. She loves to surprise people by introducing unusual yet delicious flavours in her drinks and beverages. Whether it is celeriac, red beetroot and even peppers, she enjoys surprising everyone with her creations, for children and adults! Of course, Le Goéland offers the best creation cocktail menu of the presqu’île de Rhuys, and children are never left out! Surrounded by a dynamic and professional team, she is keen to listen and enjoys sharing her know-how. Exchanges are at the heart of her philosophy, and her goal is always to delight the guests with exceptional events and flavours. Each month, she takes part in the La Cigale Crazy Fridays (2nd Friday of the month at Le Goéland bar) – an event that offers a great experience with original creations, including alcohol free cocktails, in a pleasant atmosphere.